Developing and designing a web site can be a stressful process, especially for the first time. Technology and options are endless and ever-changing. In this article, I hope to give you an overview of how to choose a good web designer and provide some advice to get started. The designer's portfolio will say a lot about creativity and design variety. Do you see things you hadn't thought about? A creative designer will come up with solutions that make average pages look inviting and arrange graphics in ways that interest the user. All designers should have a portfolio to show off their work. 2) Understanding of the big picture. Does the designer design around your goals and audience? The answer should be YES. 'Cool' might be impressive, but alone, very cool won't win business. Design, movement, and special graphics should be created to attract users to specific areas of your site that are important. A good designer should understand how technology works with design. They do not have to be a technologist, but knowing how the database will connect, how Flash will effect search engine optimization, and how the images are compressed or used in CSS will significantly effect the end result. 4) Interest in your company and your online success. A web designer should show an interest in your company. They should ask you about your goals, the company history, and even your preferences and ideas. They should be able to guide you, make recommendations, as well as listen to your concerns and ideas. A professional web designer should walk you through their project process and be able to explain technology and design trends so that you understand. Before you begin your web designer search, below are a few things to consider. 1) Decide on where you want to hire. If you select a local design company, you will be able to meet in-person throughout the project. If that is important to you, then absolutely choose someone nearby. However, we live in a virtual world and it is very realistic to successfully complete a project without meeting in person these days. A web designer who has a good reputation or comes to you through a referral should not be overlooked if they are not located in your city. Make a decision based on your comfort level. 2) Locate possible companies to hire. Ask around to other businesses (sometimes look at the bottom of a site for a "created by" link to the web company). A referral from someone you trust is worth a lot! Also, do some searching on the Internet or social networking sites liked LinkedIn. When a company comes up in the search results, check their web site and portfolio. If it looks bad, disregard the company because that is likely what you will get from them. Design. Does each site look the same? Are you impressed? Does the style fit your needs? Testimonials. Look for client comments or case studies. Do they show an aptitude at being flexible enough to work with different industries? Ideally, client testimonials include full names, which means they're not trying to hide anything. Web designers without some sort of portfolio or client list are either bad or lazy; either way, they're not for you. Contact info. Fill out an online form or make a phone call. Does someone respond to you quickly? Oftentimes, web companies will ask you to fill out a form to get you thinking about your needs and an idea of the size of your project. Make notes of how quickly you receive a response. This is likely how you will be treated as a client. When you do hear back, set a time to talk on the phone as a starting point and even meet in person after a brief phone call. A qualified and professional web designer will be willing to talk with you in detail about your needs. This can take 1 hour or several meetings to get a clear picture depending on your needs. You should receive a proposal within 1 week after this "discovery" discussion. 3) Gather proposals. Get a few proposals and compare. Don't be afraid to ask questions, for adjustments in the scope, or clarification on the terms. Be open to breaking your project into manageable phases. This way you can assess if the relationship is working out before committing to a 1 year project. Last, go with your instincts from reviewing the portfolio, references, and the initial meeting. 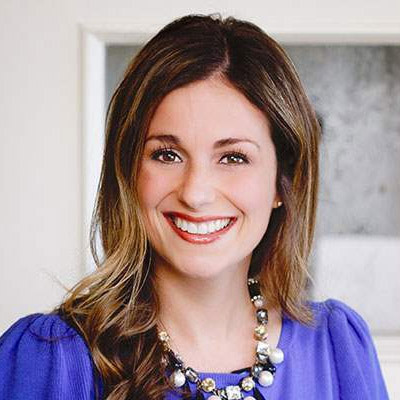 Tatum Bree Hindman is the owner of TBH Creative LLC, an Indianapolis, Indiana Web Design company. TBH Creative specializes in strategic, user-focused website design to meet client goals. TBH Creative knows web design and offers full-service solutions.